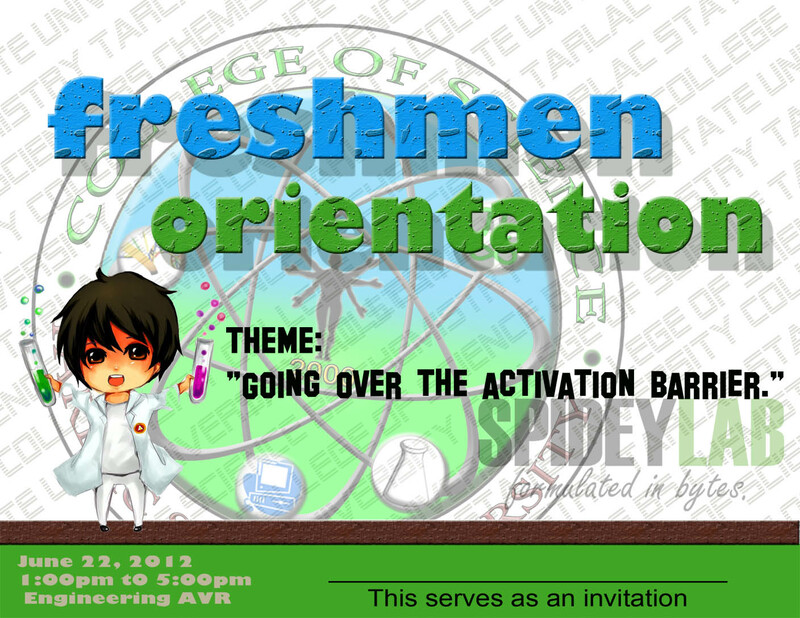 This will gonna be my first post for Invitation Design. 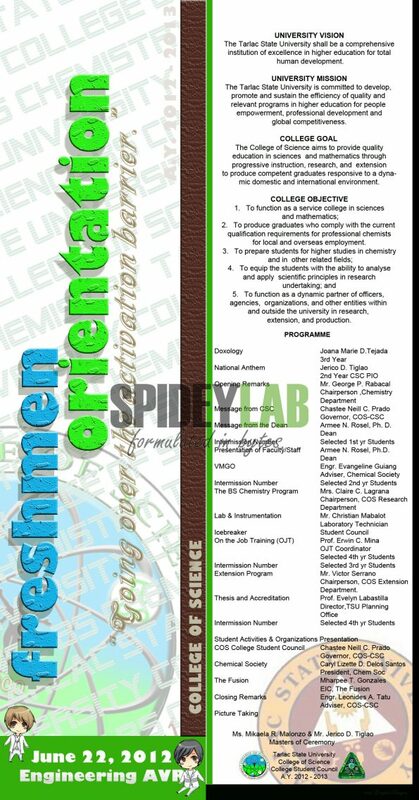 I made this programme/invitation for our College Freshmen Orientation in the year 2012. 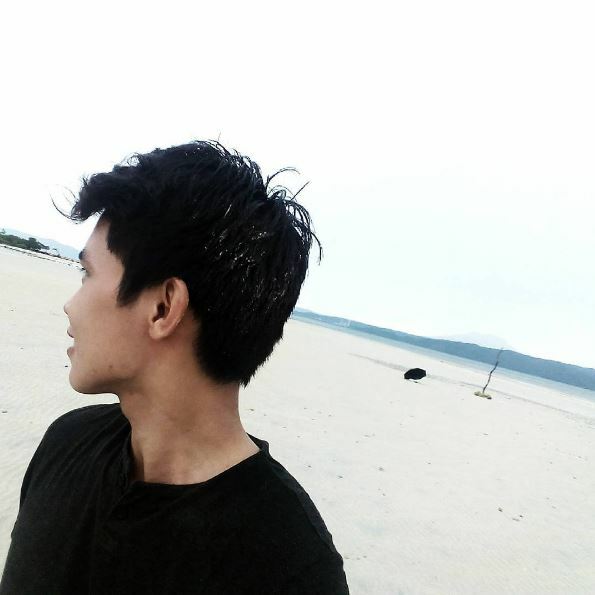 That year, I am part of the College Student Council as a Board Member on Finance. 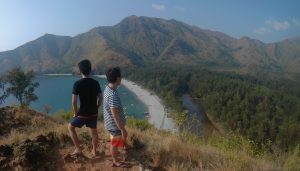 However, I used to do other tasks such as designing – like the programme for the very first activity done under our term. Technically, this design was the first ever project I know that I contributed to our college. Click on photos to open viewer. You can also right click them and open in a new tab to view larger size. This copy was given to professors and other school officials invited in the program. 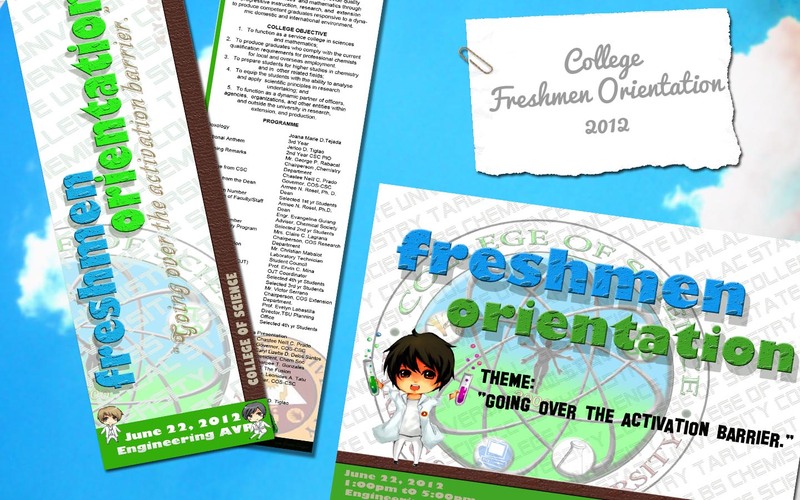 This bookmark version was given to all freshmen students. I hope they actually use theirs as a real bookmark. Haha.